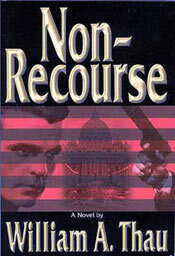 William A. Thau, our classmate novelist, has released his first novel, Non-Recourse. Matthew Lawrence was a highly successful lawyer with a major law firm. He had a beautiful wife and loving daughter. But he made a life-changing mistake; he unwittingly chose to represent a bank whose owner embezzled more than $200 million and became a convicted felon. Then his wife was murdered and he was thrust into a world he had never known, one filled with hired assassins, the Mafia, and criminals at the US Justice Department and the Vatican. His partners disown him, and criminals who think he knows where the money is want him dead. Lawrence has no choice. He must find the men who murdered his wife and are trying to kill him or face a certain death. As his journey into unknown perils moves at breakneck speed, he encounters a woman in France who helps him retain his sanity and passion for life. His quest takes him to conspiracies at work in the halls of the Justice Department and the Vatican, and culminates with a life and death struggle on a ferry crossing the Golden Horn in Istanbul, Turkey. It is the classic struggle of good versus evil, one which Lawrence must win at any cost.